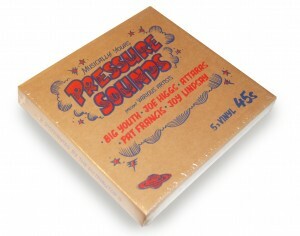 Here is a nice little reggae treasure box of 5 x vinyl 45s designed for Record Store Day and a limited edition, two colour silkscreen for Pressure Sounds (www.pressure.co.uk). I based it on the Jamaican 70s poster artist Sassafras who was the top guy for getting posters done for all those Rude Boy “Lawn” yard gigs. No pasting up he just used bottle tops and hammered into telegraph poles to hold the posters up till the following weekend and next poster. It was great to get back to real hand lettering that I trained for and not on the Mac. The script was typical “theatre” poster script which good friends John Farley and Danny Claridge know only too well from our London Palladium and West End theatre poster design days. You are currently browsing the classic 2-tone graphics news archives for April, 2014.